You can sign up here for the 2016 Virtual Gabe Zimmerman Triple Crown online now, which enables you to complete the 3-event series from anywhere in the world! 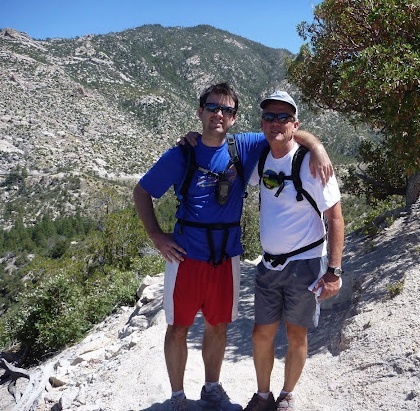 You can do one, two, or three races from afar -- which of the three you want to do virtually? The Gabe Zimmerman Triple Crown is a three-event series held in Tucson, Arizona to honor the life of Gabe Zimmerman, slain in the 2011 mass shooting that wounded Congresswoman Gabrielle Giffords. 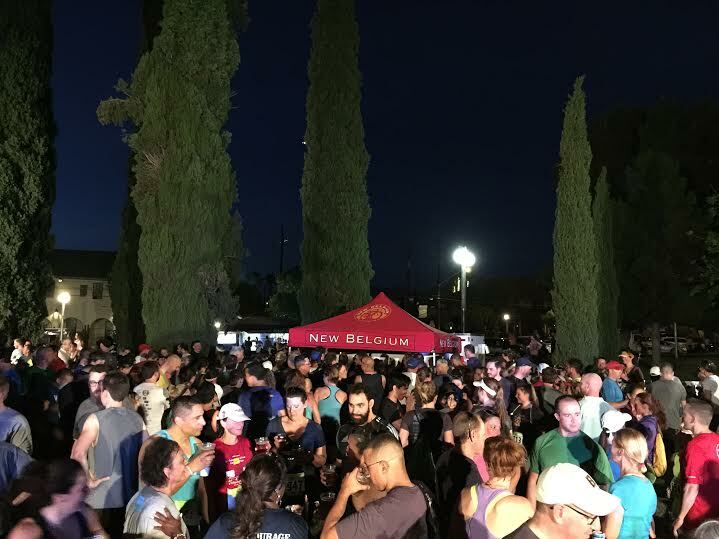 Gabe was an avid runner who celebrated the Tucson region -- our three-race series in turn celebrates Gabe and the best of Tucson. Triple Crown participants are registered for three separate runs or walks, of varying distances. All ages and all abilities are welcome -- and you can walk or run 3.1 miles, one mile, 8 miles, or a half-marathon. 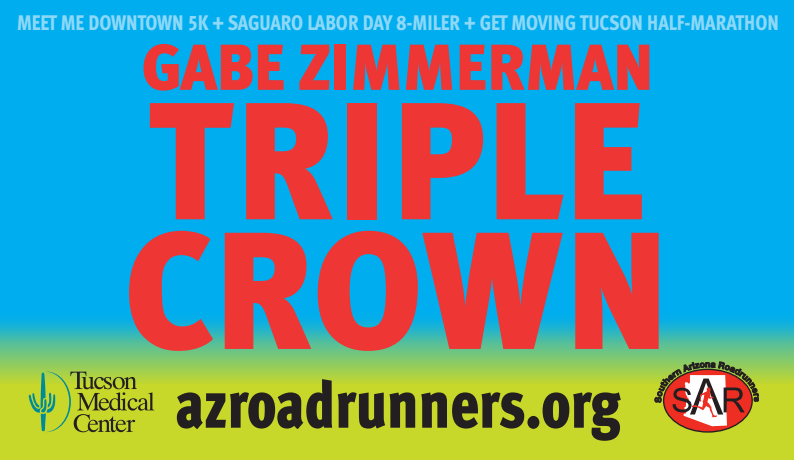 All registrants receive a special Gabe Zimmerman Triple Crown "Run Tucson" souvenir shirt, as well as all the race shirts. Plus, everyone who participates in all three events will receive a special Finisher's Award. Ten dollars of every registration goes to Child and Family Resources, Gabe's favorite charity and a very important state-wide organization that helps children and families. Events take place in historic Downtown Tucson. Do you want to be a better runner? If so, contact RRCA Certified Coach and 2:48 marathoner Tia Accetta at tia@runtucson.net. She and her group of certified coaches can create a customized program to help you meet your running and fitness goals. We're wrapping up the 2016 registration window, so join by September 1st! See www.azroadrunners.org for details on each of the three events. Interested in doing the Virtual Crown? If you have to miss one or two or even all three of the races, you can still complete the Triple Crown and receive all the great awards! Register for the Gabe Zimmerman Triple Crown here. Be sure to choose the Virtual Gabe Zimmerman Triple Crown category, then pick which races you will do virtually. Run or walk each of the race distances on the same weekend as the race and take a photo of yourself. Then submit your "race" photo to the SAR Facebook page or post your photo to both the @RunSAR and @RunTucson instagram feeds. Upon verification, you will be added to the 2016 virtual Triple Crown results and we will make sure you can get the race awards you earned. 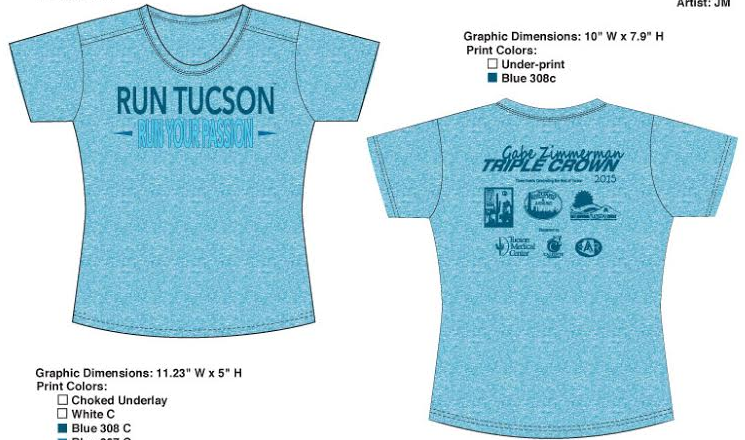 The 2016 "Run Tucson" Triple Crown shirt. 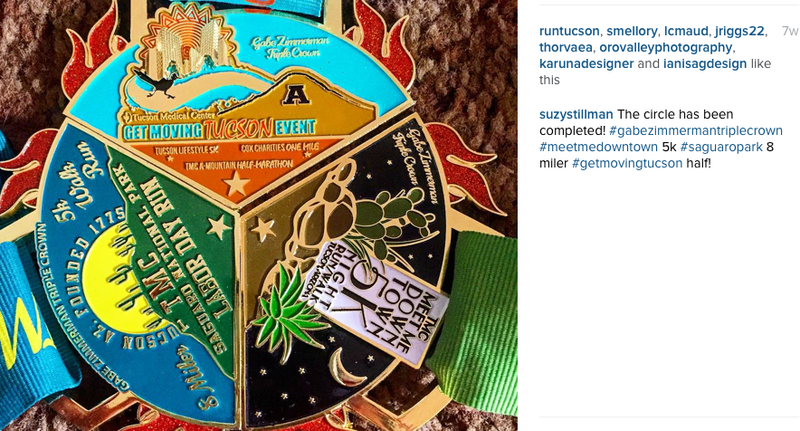 Each of the four medals, so that you can have the full commemorative medallion, even if you are far from Tucson. Recognition on the SAR Gabe Zimmerman Triple Crown results page. Southern Arizona Roadrunners, and others.